Atomik Haze feminized cannabis seeds. 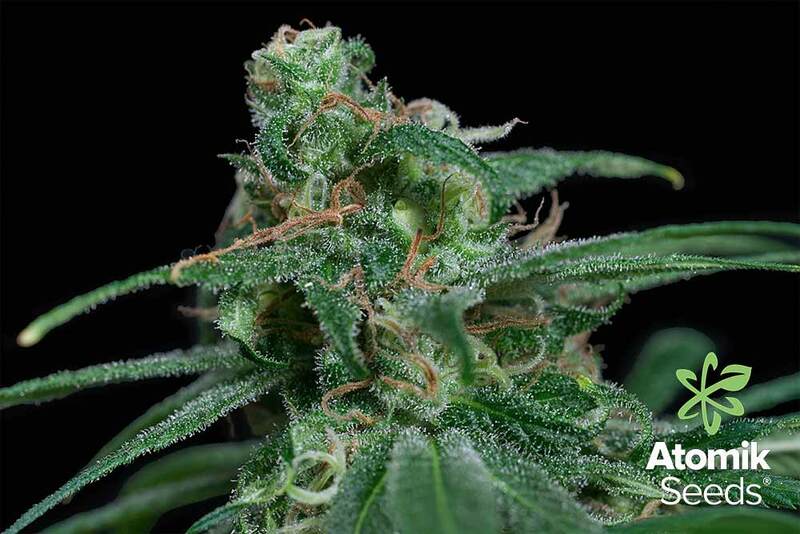 Atomik Haze from Atomik Seeds is the result of one of the most known strain selection. It has up to 20% THC concentrations being a plant with sativa dominant. 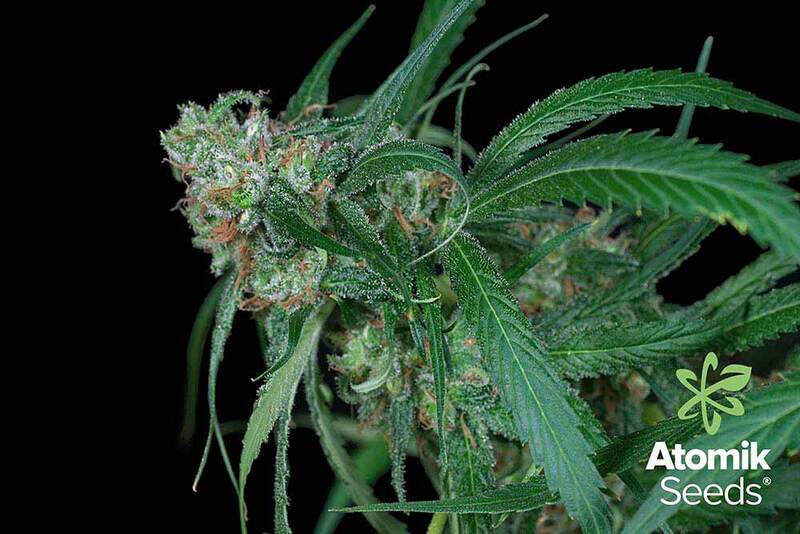 Atomik Haze will give you thick and big buds covered with a lot of resin. Atomik Seeds Atomik Haze comes from one of the most known strain selection. With up to a 20% THC concentration. This is a tasty one for the Haze lovers. This sativa cannabis plant grows quick and strong. At growing phase no more than two weeks will be needed to unleash its flowering own potential. Atomik haze gives you big production. So it is that this plant will need help to keep the branches safe from its buds weight at last flowering weeks. Huge buds with incense scent. Due to its big appearance Atomik Haze will surpise you outdoor. On October’s last days it will be ready including high resistance to humidity and plague. Growers who know Atomik Haze said it is a quick, strong and healthy strain. Such a good plant for those who are looking for a pure Haze genetic. As well it is a good one for the beginners who are looking for quality effortless, some smokers say that this Haze version is similar to a censer: fresh and metallic taste and incense scent. Sehr guter Service, ich bin froh über meinen Kauf bei Atomik. Ist nächstes mal wieder dabei. Muy buena genética, fácil de cultivar y de buena cosecha. Repetiré con seguridad.